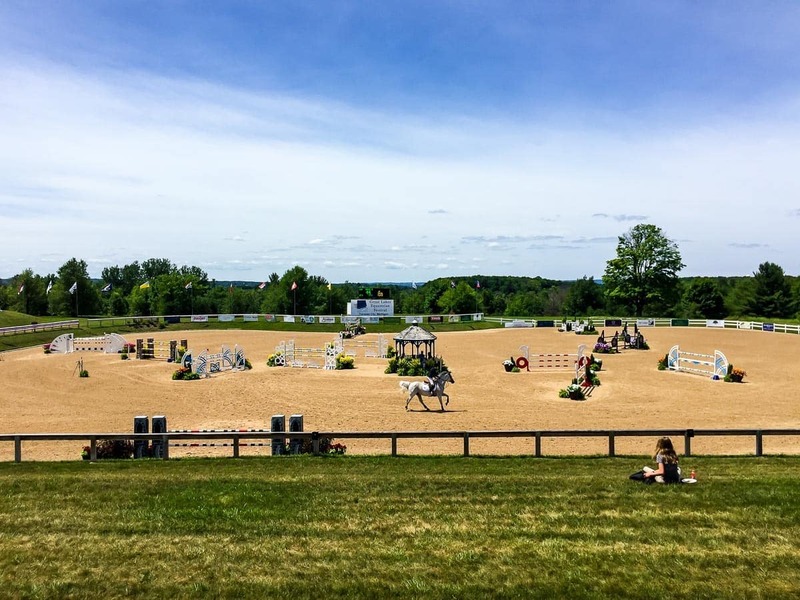 Home » Travel » Traverse City Michigan: National Cherry Festival, Wine, Horses & Pie! It is a rare vacation destination that can make me feel simultaneously spoiled (an excellent quality in any relaxing vacation) and so absolutely comfortable, I feel as if I’ve stumbled upon my home in an alternate universe. I found both in Traverse City, Michigan. 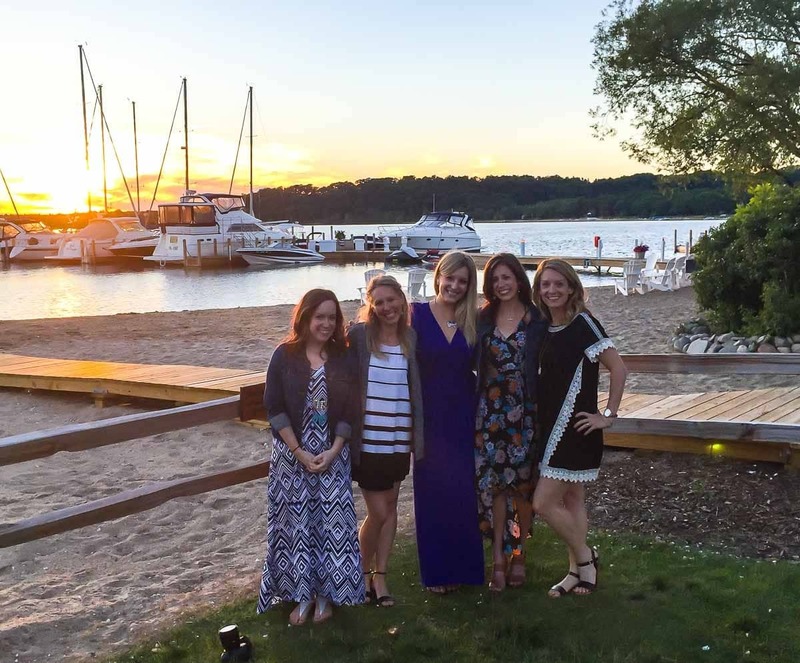 Whether you are looking for a family-friendly travel destination, a spot for a girls’ weekend, or a romantic getaway, Traverse City has something to offer. Here are a few of the highlights from our trip, as well as helpful resources to help you plan your own. Flying into Traverse City’s Cherry Capital Airport was officially the most pleasant airport experience of my life. 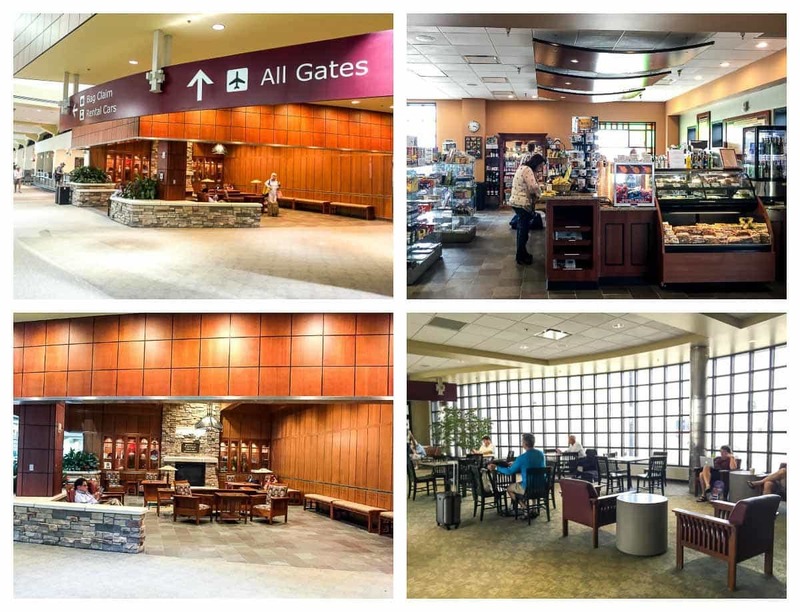 I flew directly from Chicago (the airport also offers direct, non-stop flights from Newark, LaGuardia, Atlanta, Minneapolis, Denver, and Detroit) and stepped off of the plane into a charming, clean, and convenient waiting area. The airport has a relaxing lounge where you can wait for your flight (or pick up a friend), free wifi, a little patio so you can relax outside if it’s a nice day, and a full-service café offering from scratch-fare and local products. 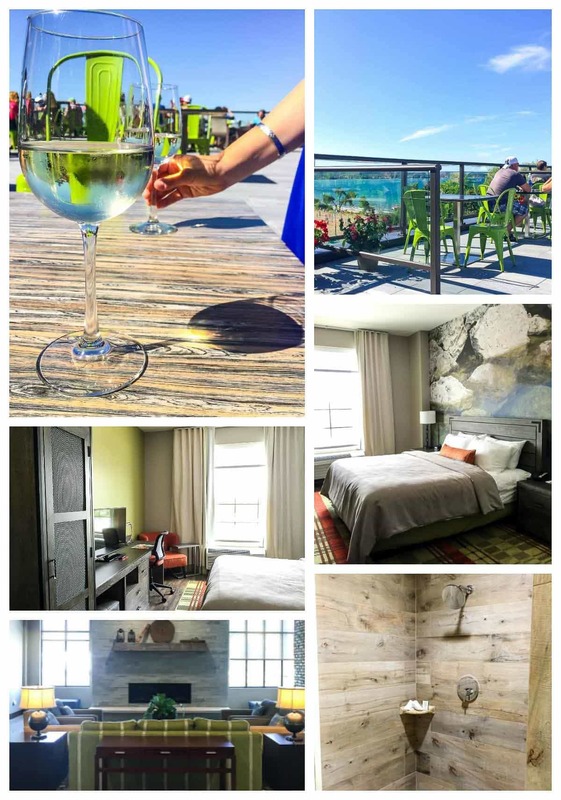 We had the privilege to stay at the newly opened Hotel Indigo, located right in the heart of downtown Traverse City. The rooms were spacious and clean, the showers MASSIVE, and the service friendly and courteous. I loved the modern rustic décor, the location, and the breezy rooftop bar. Hotel Indigo’s rooftop bar overlooks Lake Michigan, the Cherry Festival grounds, and downtown Traverse City. We stopped by every day of the trip, even if it was just for a few minutes take in the scenery before dinner. 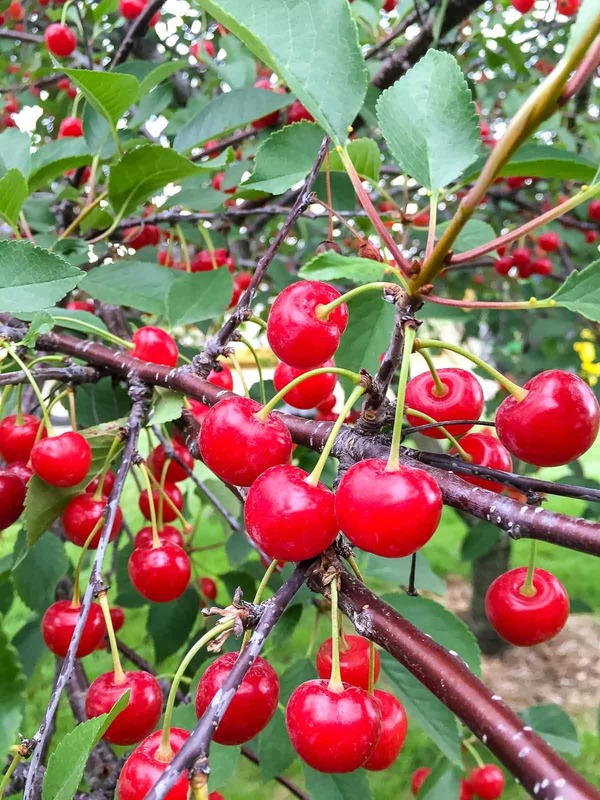 The National Cherry Festival takes place in Traverse City the first week of every July. Michigan is the leading producer of tart cherries, and the festival celebrates this ruby gem of a fruit. We toured a working family cherry farm to see the production in action, attended the Cherry Royal Parade, visited the fairgrounds, listened to live music and comedy, and sampled a wide-variety of local cherry products (cherry salsa, cherry mustard, cherry lemonade, cherry ice cream, cherry butter, and of course, cherry pie!). The National Cherry Festival would be a dream family vacation. There are activities for kids and adults sprinkled throughout downtown and the surrounding area. SO, WHAT’S WITH THOSE TART CHERRIES? Northern Michigan is proud of its tart cherries, and it has every right to be. One of the neatest parts of the trip was learning about the positive health benefits tart cherries offer. They truly are a super fruit! 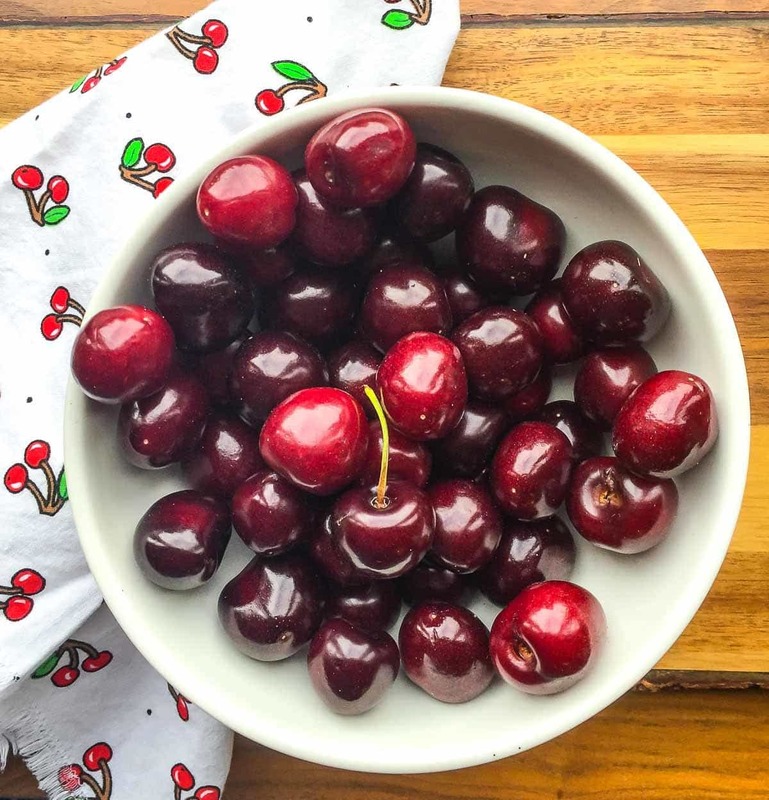 From reducing inflammation, to improving sleep, to assisting with exercise recovery, tart cherries are a nutritional powerhouse. (Find more about cherry nutritional information, as well as tips to enjoy them year-round here). 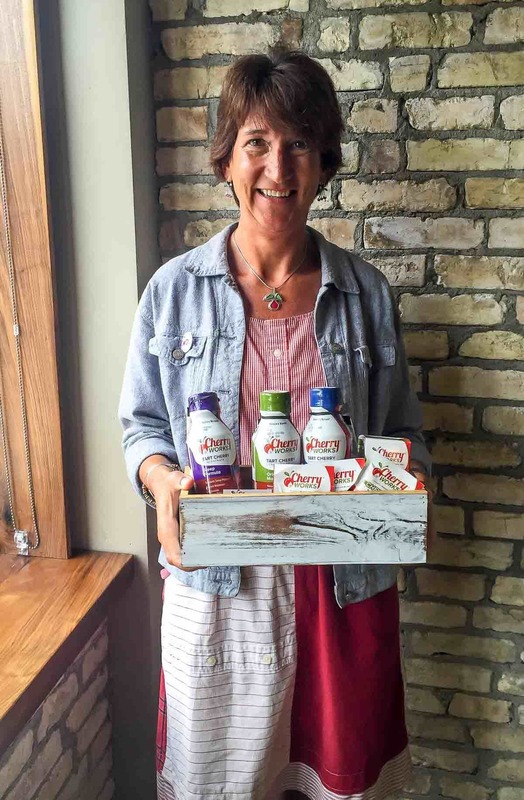 One of the biggest advocates for the health benefits of tart cherries we met was Michelle of Cherry Works. Years ago, Michelle started making a tart cherry concentrate for friends and family, because she noticed the positive health benefits (like improved sleep and less joint discomfort) it made in her life. It began as a hobby, but then blossomed into a business. Her cherry concentrate and other Cherry Works products are now available on Amazon (just look at the positive reviews! ), as well as Whole Foods and many other specialty grocery stores throughout the country. If you buy them on her website, cherryworks.net, you can also enjoy 20% off with the coupon code TRYCHERRYWORKS (thanks Michelle!). Our visit with Michelle—who cooked us a beautiful cherry-centric breakfast—was inspiring and uplifting. Like everyone we met in Traverse City, her passion for the region and it’s cherry crop was contagious. Thanks to Michelle and the many cherry-centric culinary offerings throughout the Festival, I experienced a delicious array of ways to enjoy tart cherries, but the most classic is still a tart cherry pie. Sweet cherry pie, I do love you, but it’s the more robust, flavorful TART cherry pie that I crave. You’ll find some of the best in Traverse City at Grand Traverse Pie Company. 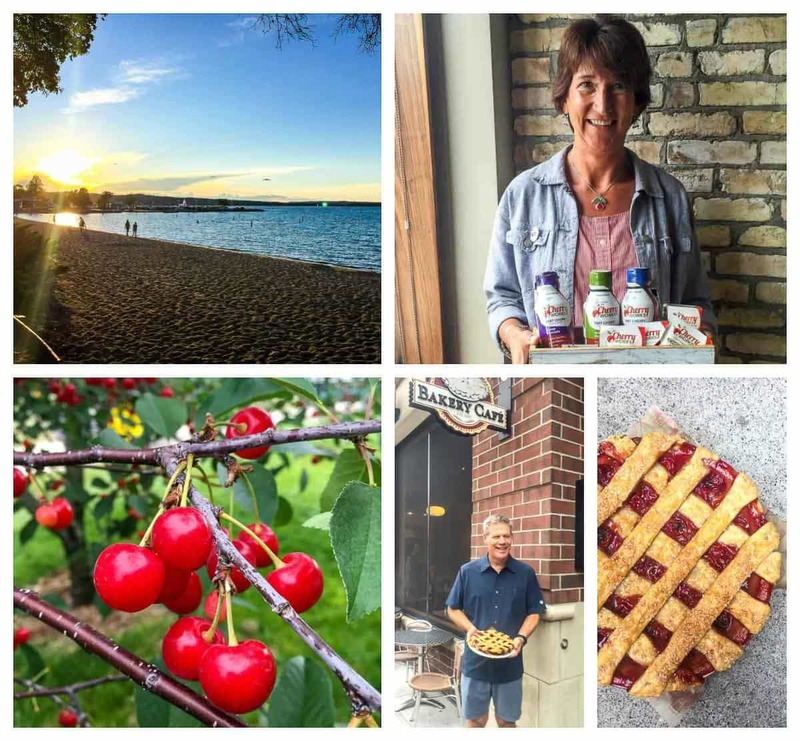 In addition to making a killer array of pies (the ginger-ale infused Vernor’s Cherry was my favorite), Grand Traverse Pie exemplifies what it means to contribute to a community. We enjoyed a fabulous breakfast with Mike (pictured above), Grand Traverse Pie’s founder and CEO. Hearing the devotion with which he spoke about his employees and the company’s dedication to being a positive community partner was nothing short of inspiring. 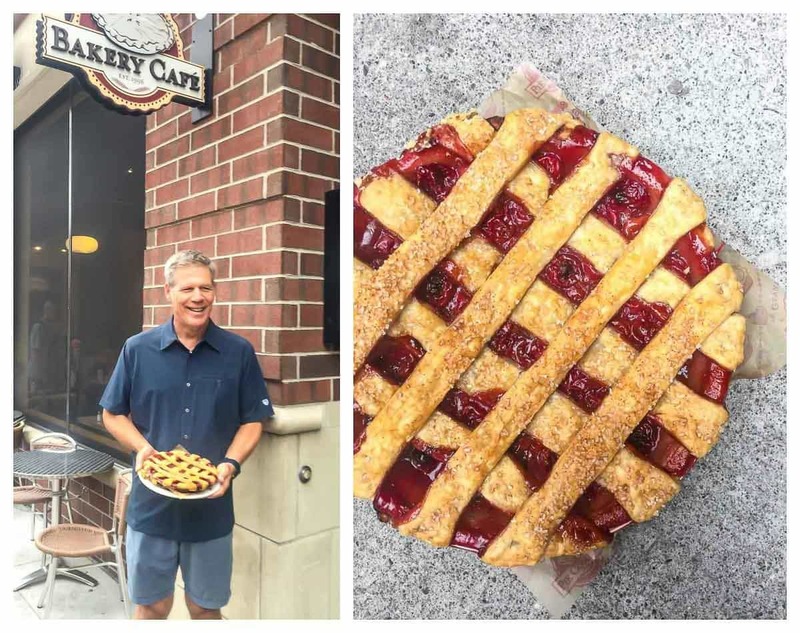 By the time we finished our breakfast (which, yes, included giant slices of tart cherry pie), I was ready to move to Traverse City, roll up my sleeves, and become a Grand Traverse Pie company baker. Craving pie but not tart cherries to be found? Grand Traverse also ships around the country. If you are a food lover, Traverse City will be your paradise. No matter what time of year you visit, you will find a large array of top-notch local restaurants. We enjoyed some of the best dining I’ve experienced anywhere in the country. Our dinner at Alliance was nothing short of remarkable. The menu for this airy downtown restaurant changes every single day to reflect the local produce, meat, and fish the chef acquires at market that morning. Dishes are sized to share, and we tried (I kid you not) the entire Alliance menu. I was in awe. Every dish was a masterpiece. Not only did the food look beautiful—it tasted exquisite. Every dish carefully balanced color, flavor, and texture. 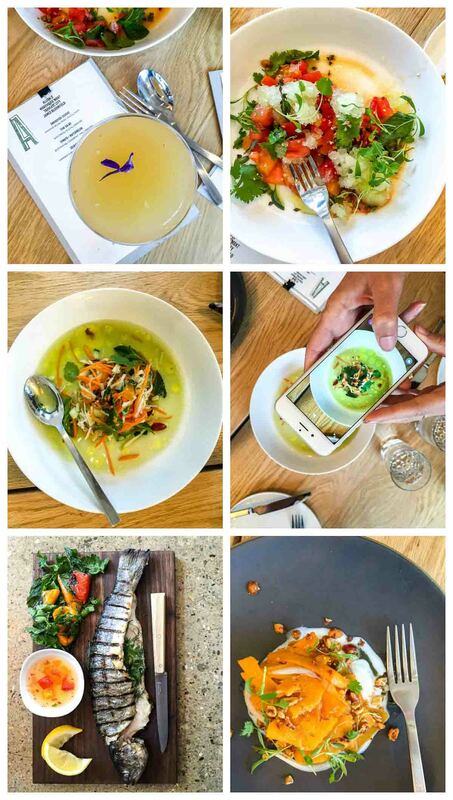 From a fresh cucumber and watermelon salad with a delicate sauce and refreshing cucumber granita, to a smoky, freshly caught halibut, to a butternut squash salad with caramelized nuts, every plate wowed me more than the one before it. We loved Alliance so much, we came back a second night to see the menu—and to order another round of its fabulous cocktails. And the food—oh my. Lobster! Steak! A cauliflower risotto that I still dream about at night! 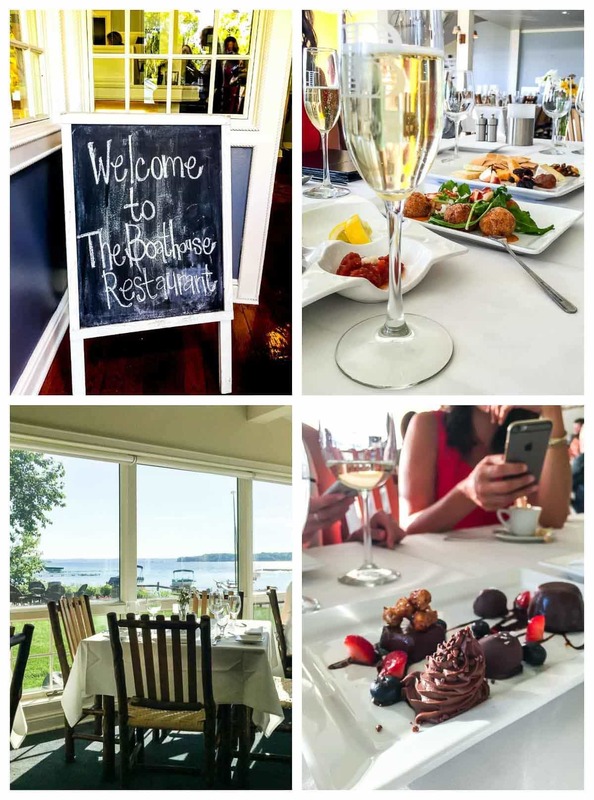 Boathouse wowed us with its classic steakhouse elegance, superb food, and bright, airy setting. 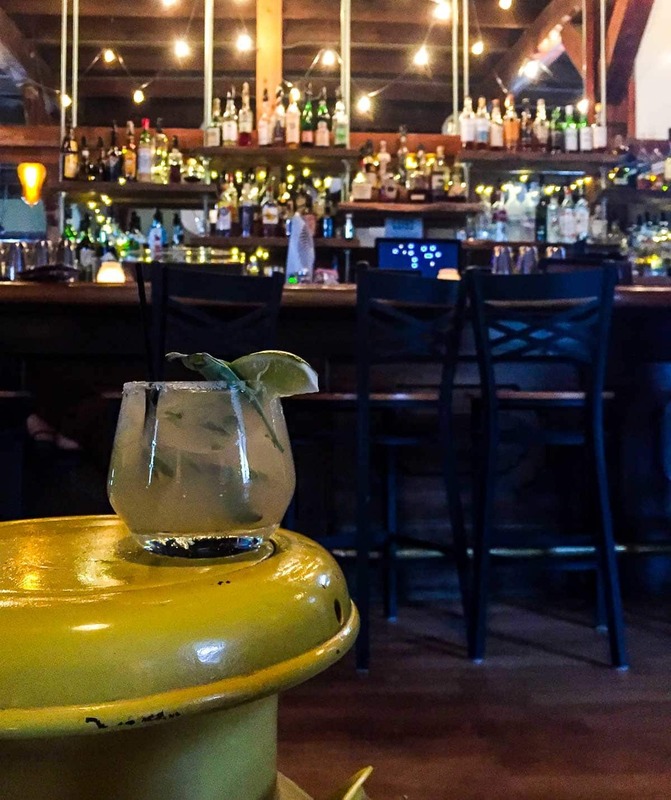 Want to feel like a local in a hip environment, while sipping a killer cocktail and noshing on creative small plates? Head to The Parlor. I loved the hip vibe and modern twists on classic comfort food The Parlor offered. Your must try: the mac and cheese. Thank me later. In addition to fine dining, Traverse City also offers a fun collection of casual dining options, my favorite of which was The Little Fleet. 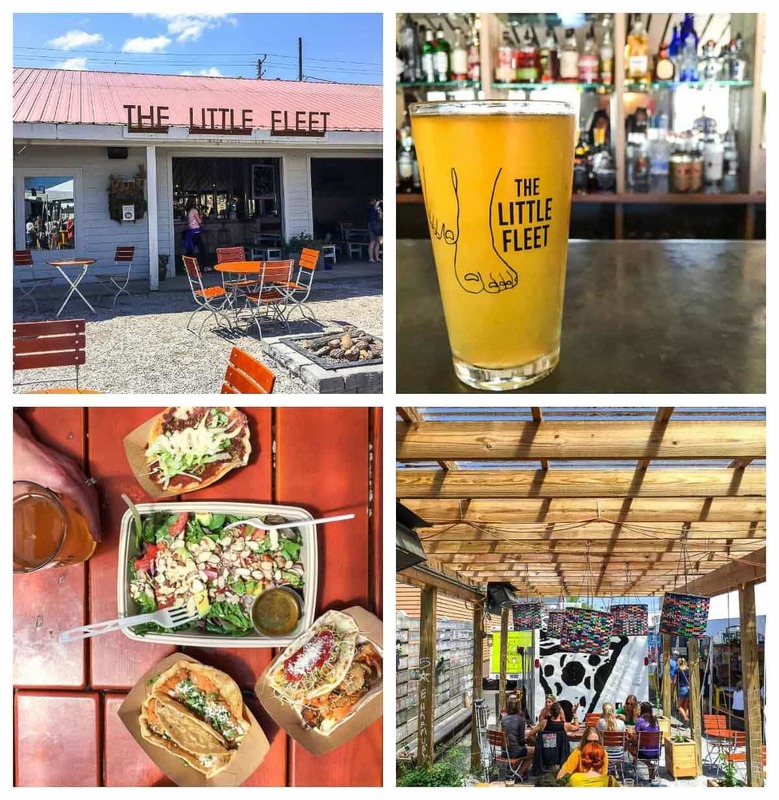 An open lot filled with food trucks, picnic benches, and an open air bar, The Little Fleet is the ideal spot to grab lunch on a nice day. Our group balanced a few quinoa salads with smoky tacos and Michigan craft brews. 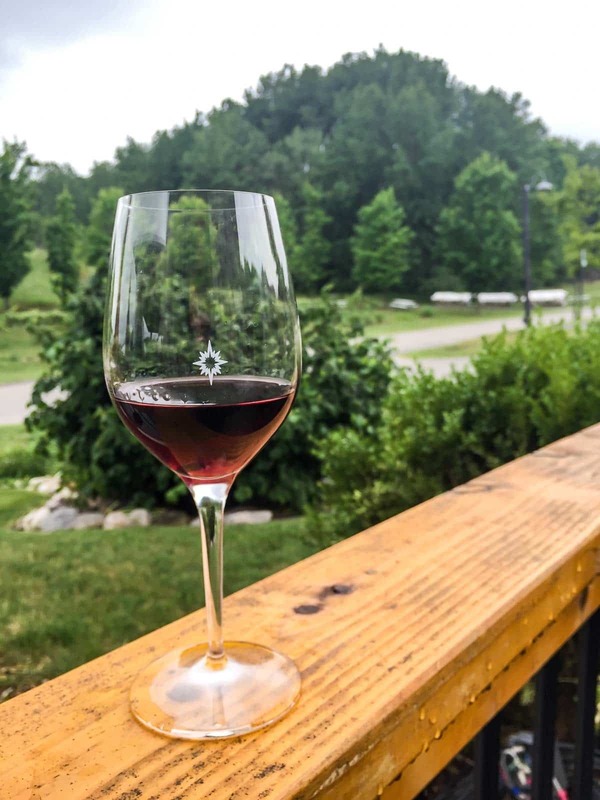 Northern Michigan is home to a fantastic spread of high-quality, affordable wineries. 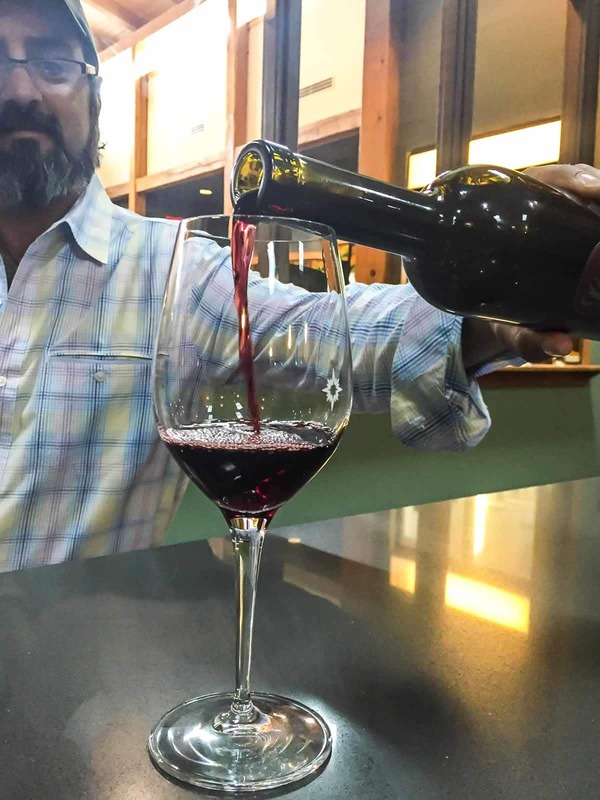 Dreaming of going to Napa but can’t swing the price tag? This is your spot! Tastings are all around $5, and I was so impressed by the quality of the wine. We had the privilege to complete tastings at two wineries, and I am plotting to go back for either a romantic weekend with Ben or a gal’s trip, because there are so many more I want to try. If you can only go to a few wineries, make sure Black Star Farms is on your list, and you absolutely must stay for lunch. Their wood oven pizzas are incredible. I actually visited Black Star Farms last year, but was so smitten with the food and wine, I wanted to return. It was even better than I remembered. 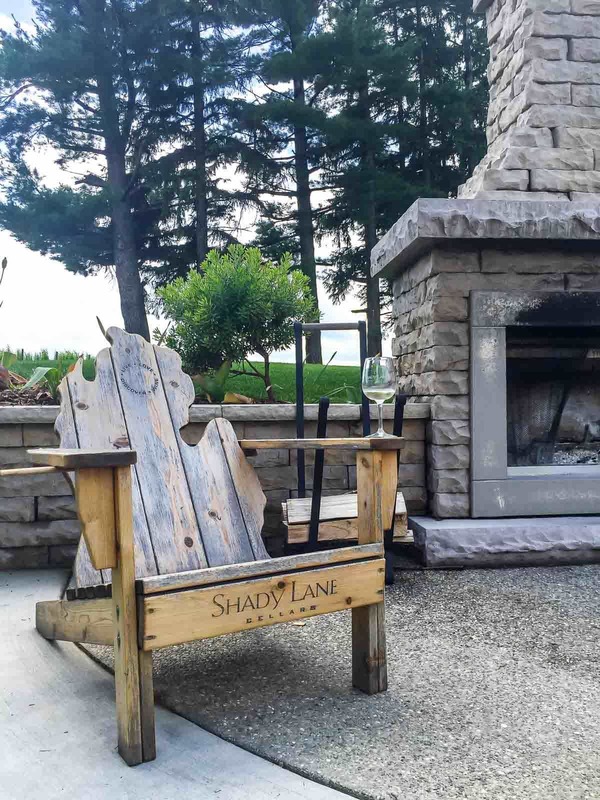 For a glass of wine with a view, visit Shady Lane Cellars. I could have spent hours there relaxing and soaking in the scenery—with a glass in wine of hand, naturally. In addition to the National Cherry Festival, Traverse City is also home to two other major festivals, the Traverse City Film Festival (which I hope to attend some day!) 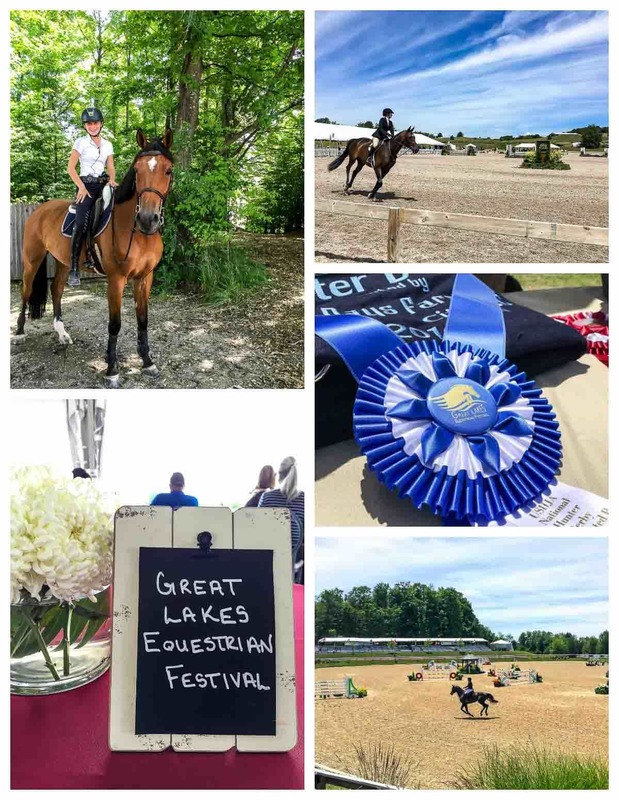 and the Great Lakes Equestrian Festival. We spent our last morning at the Equestrian Festival, and I was introduced to a whole new world of sport and entertainment. I knew absolutely nothing about riding prior to the event, and I enjoyed learning about the dedication it takes to train and show a horse, as well as watching the riders compete. We had a lovely lunch overlooking the fields, visited with a trainer, and were awed by the beauty of the horses themselves. 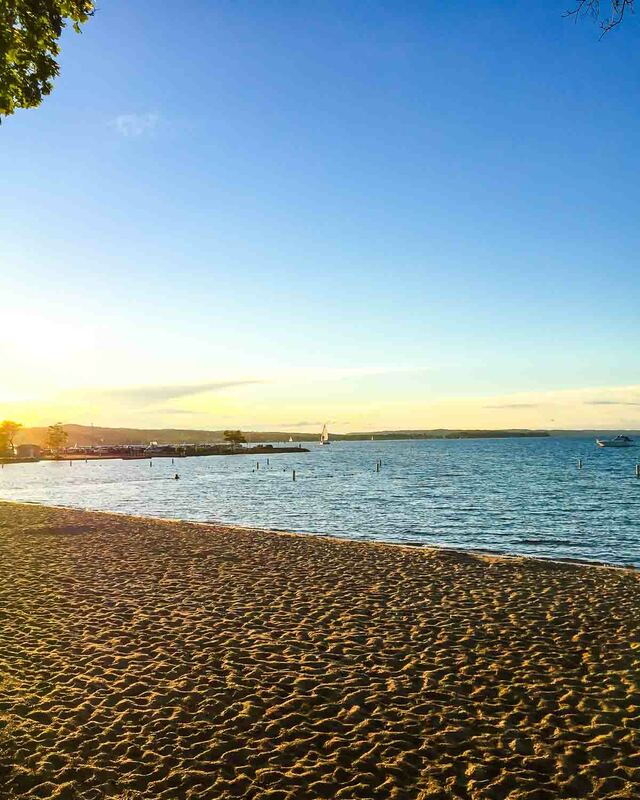 Traverse City has A LOT to offer. From festivals, to wineries, to shopping, to fine and casual dining alike, the area is more filled with activities than I could hope to touch in four months, let alone in four days. 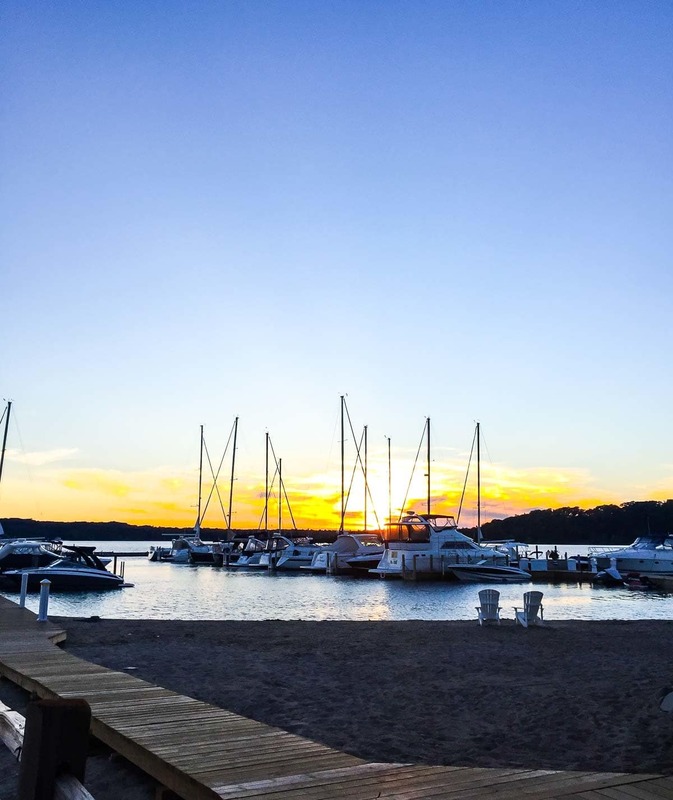 It’s greatest treasure of all, however, you won’t find in a travel brochure—it’s the people that truly make Traverse City the remarkable destination it is. From Michelle, to Mike, to the cherry farmers, to restaurant and winery owners, to the queen of the Cherry Royal parade, everyone (and I mean EVERYONE) with whom we crossed paths was in Traverse City for one very specific reason: they love Traverse City and northern Michigan. The passion in northern Michigan is contagious. Come visit Traverse City, walk alone Lake Michigan, and see if you don’t catch it too! THANK YOU to the National Cherry Festival and Cherry Capital Airport for hosting our group: Becky, Amanda, Rachel, myself, and Lauren. It meant so much to spend four beautiful days days with these women, who I am blessed to call friends. Dear Traverse City: I hope to see you again soon. Our trip was hosted by the National Cherry Festival, Cherry Capital Airport, and mentioned restaurants. No other compensation was received, and as always, all opinions are my own. Thanks for letting me share this special experience with you! I grew up camping just south of TC and it is one of the most amazing places in the world. I will miss it so dearly as we move the Southwest. If you get out of TC and go north or south there is so much to explore. Being there just restores your soul. “Being there just restores your soul.”<—Bex, you expressed my sentiment about the area PERFECTLY. How special that you grew up camping in the area. I hope you are able to make it back some day! What a wonderful trip, and your photos! Wow! 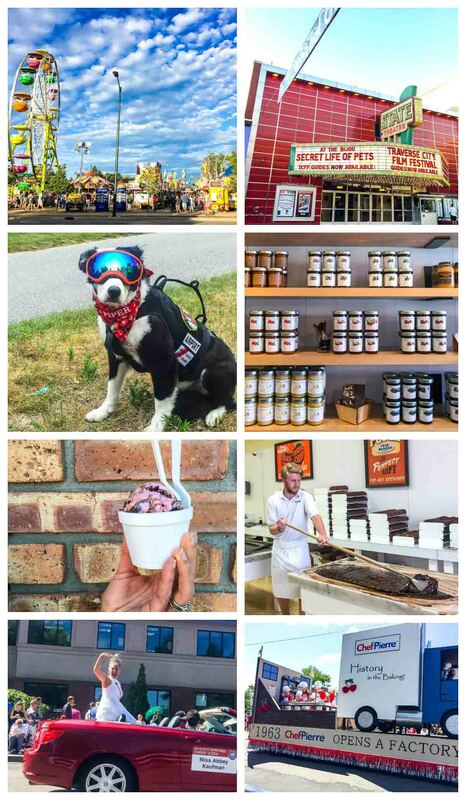 I have to ask–under The Highlights, the set of pics with the Ferris wheel and parade, what is the story with that adorable doggie and the slab o’cherry (I assume) something that young feller is working (fruit leather?)? And ya gotta love a place that believes in cherry pie for breakfast!!!!!!! Off to check out the Cherry Works link! Thanks so much Joanie! That adorable doggie is Piper, who both works for the airport’s animal control (SO COOL) and is the Grand Marshall of the Cherry Parade. He was the sweetest! The young man in the lower photo is actually making Murdick’s Homemade Fudge. It is AMAZING. Truly, there is so much that TC has to offer, I couldn’t fit every detail into the post, so I’m so glad you asked! GAH!! I am missing Northern MI like whoa. Such a wonderful and easy city to get too! Can’t wait for another girls trip! This looks amazing!! I love tart cherries…all of your photos…it looks dreamy! And that cherry towel/napkin is super cute! I’m here for Piper the Doggie! :D And okay, the cherries, too. ;) It looks like a great destination! I’m from Traverse City all my family still live their. My mom and dad grew up in Traverse City. It’s beautiful up their.I love all the water and pines. I’ve never been to the cherry festival though. Isn’t it just gorgeous Sarah? If you can ever make it up for the Cherry Festival, I am sure you would love it too! Traverse City AND their cherry festival have been on my list for a couple years now. Great pics and info from your time there, Erin! Tart cherries are one of my favorite ingredients to cook with and snack on. I think that means that I need to head out to the Traverse City festival sometime soon. Great pictures from your trip! This is obviously MY KIND OF PLACE- love it! I can’t believe I’ve never been to Michigan- it looks absolutely wonderful. And I love cherries!! I need a girl’s trip with all of you one of these days- fun! My favorite part about this whole post is seeing the Traverse City airport! I’ve never flown there – we always drive from Grand Rapids. What a GORGEOUS airport!! I need them in my life again too Amanda! I also need another gal’s weekend with you (and wine). Can we do it again soon please? hey girl this place looks amazing! Glad ya’ll had fun! I have no idea why I’ve never been to the festival. I need to go next time. I’m right across the border in Ontario. Plus I’m a cherry fanatic. I am so stoked they have an equestrian event too. We have two Arabian horses, my daughter used to do showjumping. It’s a fun sport. I’m now adding this event to my list of things to do. Love the photos of the cherries. I want to dive right through my screen. My husband and his sibs have a cottage on Torch Lake which is very close to Traverse City. It truly is a beautiful area and unfortunately, we’re just not able to get there as often as we’d like (due to living in LA). I agree, that it is a perfect family travel destination that is fun and relaxing, although I’ve never been to the cherry festival, I have gone cherry picking there! Very fun! Thanks so much Christina! It truly is a special place. I love cherry season and the festival looks like good fun! I absolutely love how beautifully you recap your trips! Traverse City, Michigan looks in-credible!! I love your photos, especially of the ferris wheel, the cherry tree, and the last of you on the beach. Such a dreamy place to visit! One of the highlights of the festival is always the Air Show. I hope you were able to see it! Sadly we missed it, but I’m determined to go again, so I’ll be sure we plan accordingly. Thanks for the tip! Looks like the kind of trip my husband would love!! Traverse City looks awesome!! – love the hotel! Lovely! It really looks cool!! We just got back from Traverse City! Not at the cherry festival, but we used your recommendations for our stay and they were spot on. Thank you! Hoping to come back in the summer next time. I’m glad you had a good trip, Becca!